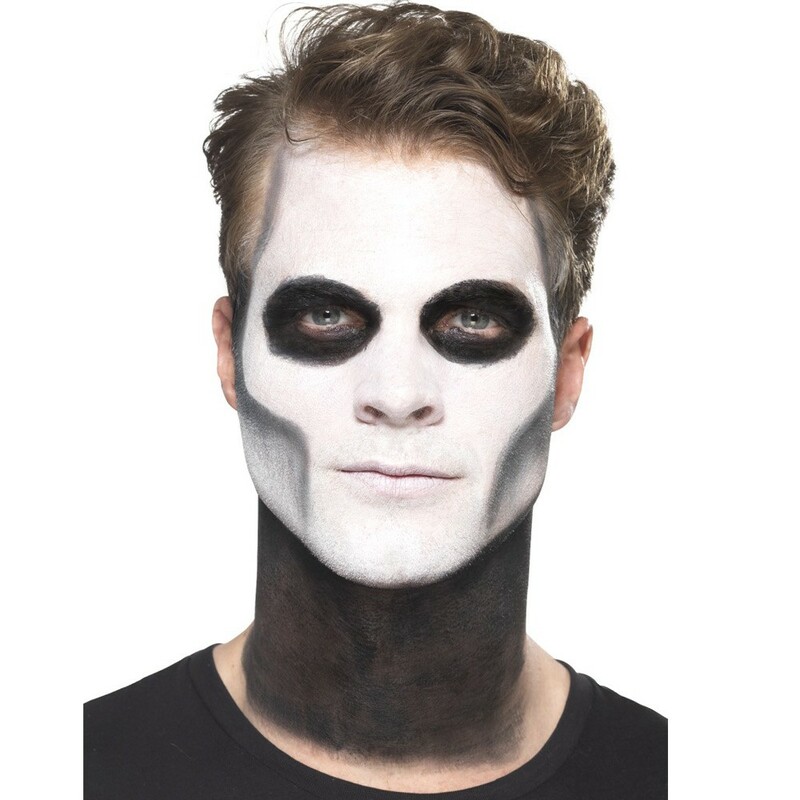 Male Day of the Dead Make Up Kit with transfers and moustache included, ideal to complete any Day of the Dead look this Halloween! 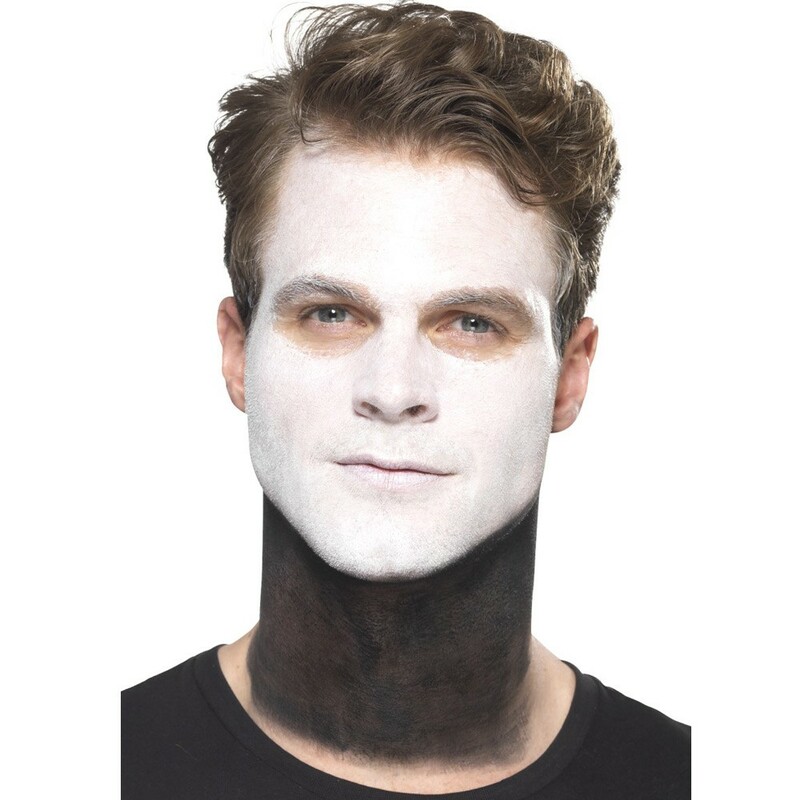 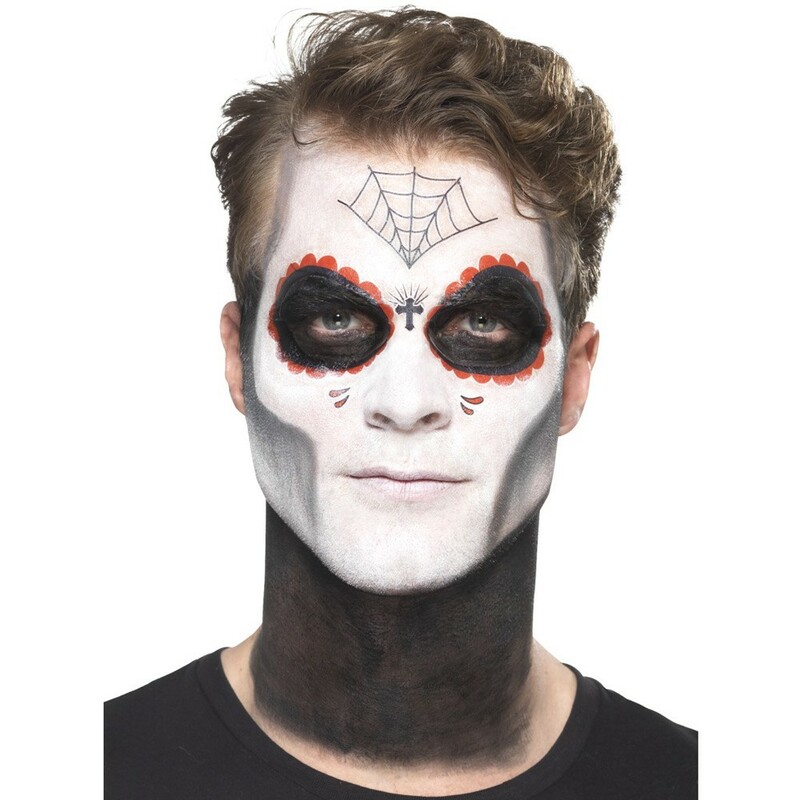 This Day of the Dead Make Up Kit is perfect for any senor! There are 2 decoration round transfers to go around your eyes in this Day of the Dead Make Up Kit and a partial cobweb ideal for your forehead. 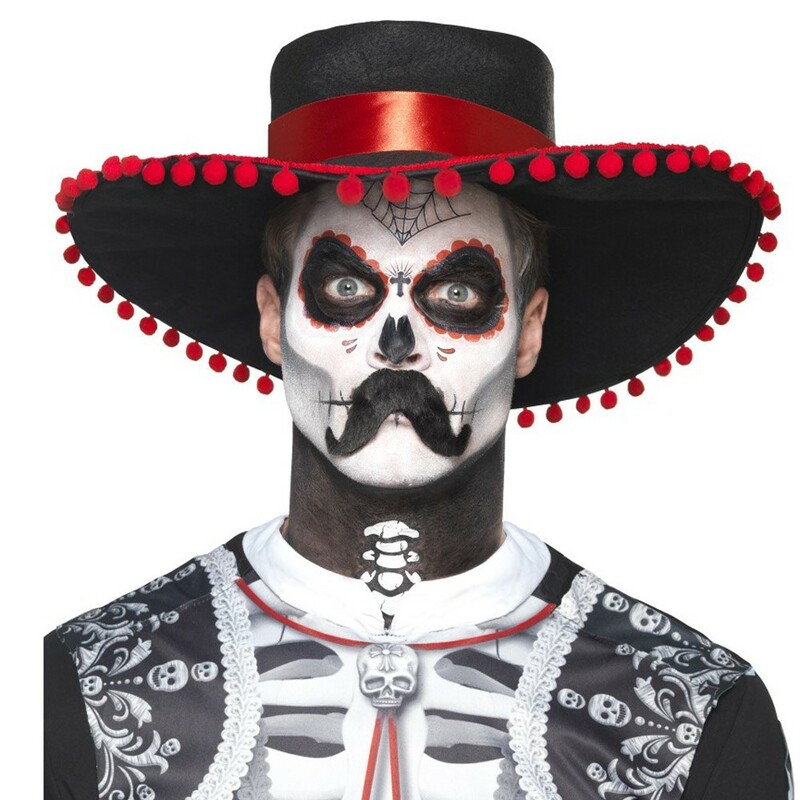 Inside this Day of the Dead Make Up Kit there is also a moustache which will be the perfect finishing touch to your make up. 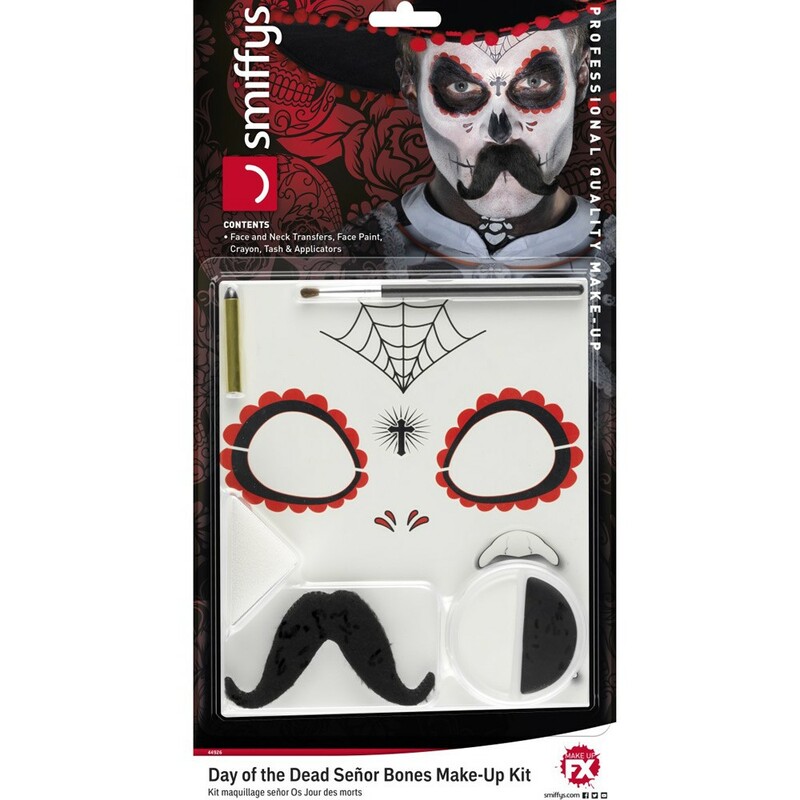 This great Day of the Dead Make Up Kit isfrom the well known Smiffys brand.